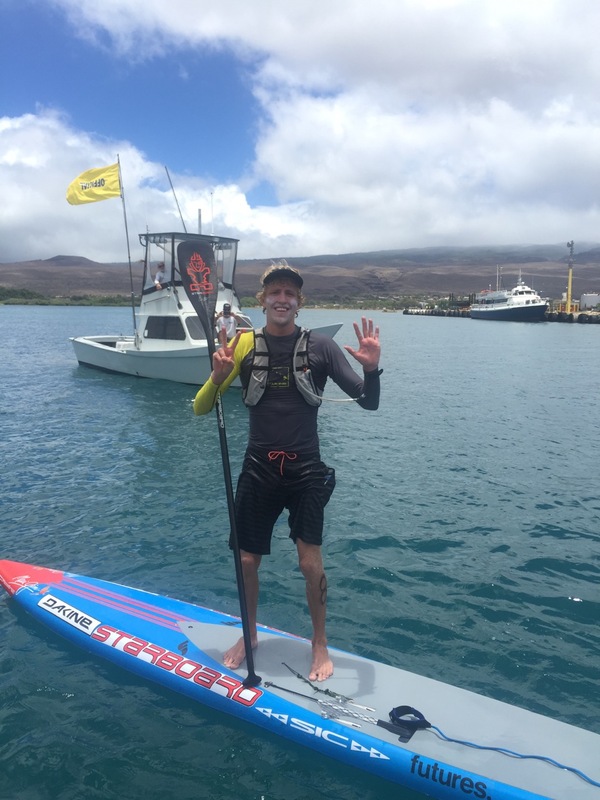 The 2016 Maui-2-Molokai Event was such an Epic race after racing in Flat Water for 6 weeks in Europe! The first time I crossed this channel – I was 8 1/2 years old and I was windsurfing and I definitely don’t plan on stopping any time soon. 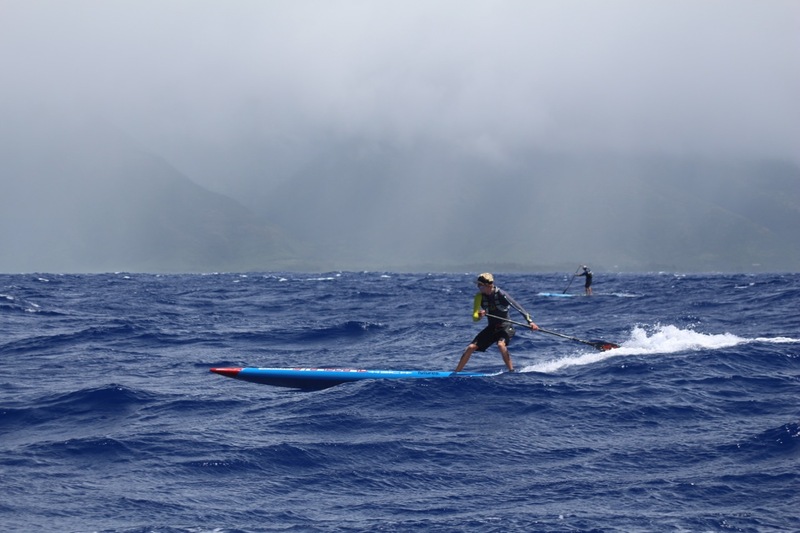 The race started at 9:30 at Honolua Bay and there were a few heavy hitters on the line with me. Matt Nottage, James Casey, Livio Menelau, Vinnicius Martins and of course Travis Grant – who I was the most worried about. We were all lined up and ready to go on the start line – and when the horn blew – we all hit the gas like it was a 10 miles race. 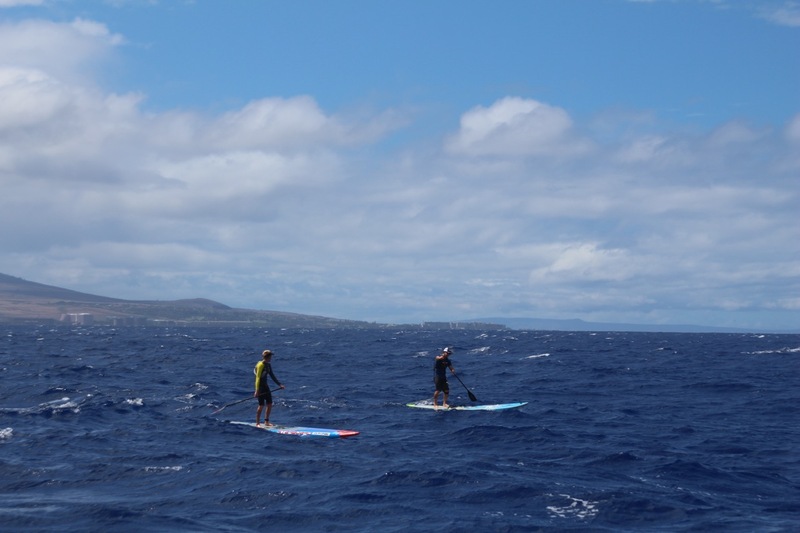 Up at the front, we had about 6 or 7 guys pushing hard in the flat water – staying together. 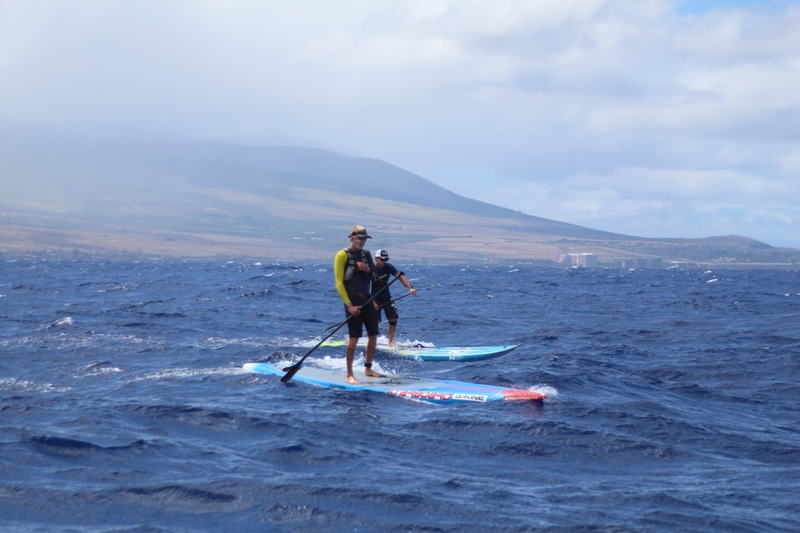 It took about 20 minutes until we hit some good bumps – so that’s when I started doing my thing and pulling away from the group with Travis and Matt. The three of us stuck together for about 45 min and then Travis and I went into the next gear and pulled away from Matt and then it was a two man race. Travis and I went back and fourth for the next hour – talking a bit – but both wanting the same thing. 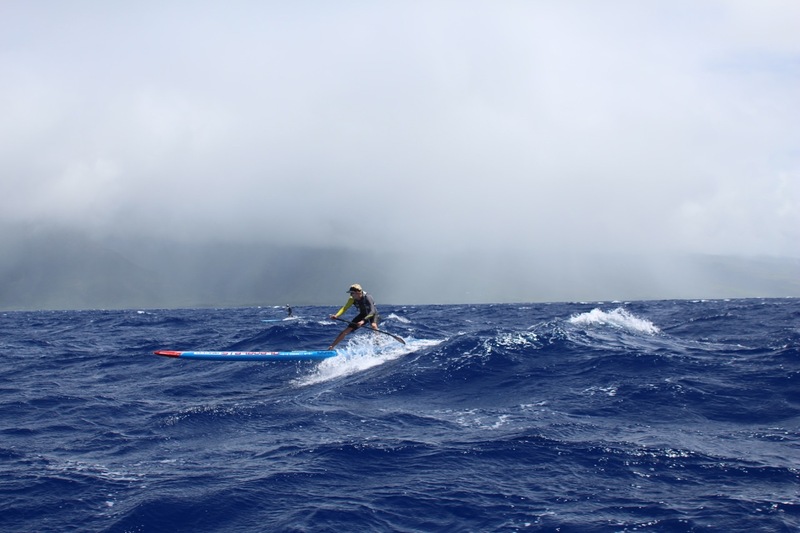 I knew the last part of the race would be lighter winds and possibly flat – so I just put my head down and went into my own world and started to surf the bumps. I just kept my eyes on the finish line and focused on winning my 7th title in a row on this run. 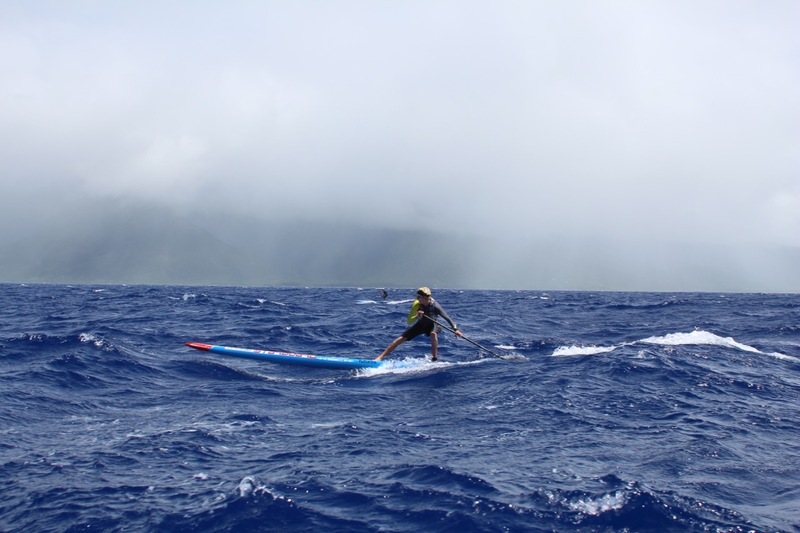 The closer I got to Molokai the bumps started getting better and better – and I was in my happy place. The next I knew I had a solid gap on Travis – but it wasn’t over yet. I kept the hammer down all the way to the finish line – and crossed in First Place – in a time of 2 hours 58 minutes 51 seconds. 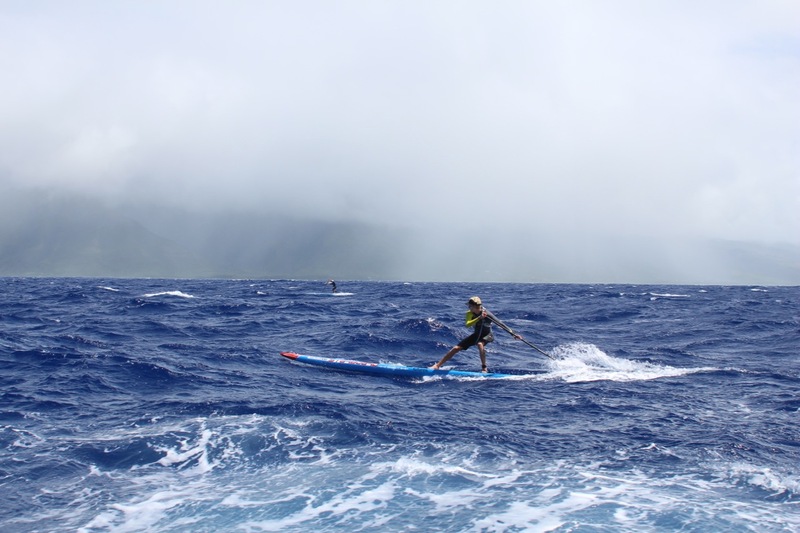 The conditions were not epic, but it was a really fun run nonetheless. And it was actually a particularly fast crossing. It was my 2nd time to do the crossing in under 3 hours – and only a few minutes shy of the 2:55:46 course record I set in 2012. So that just means I have to paddle harder next year!! 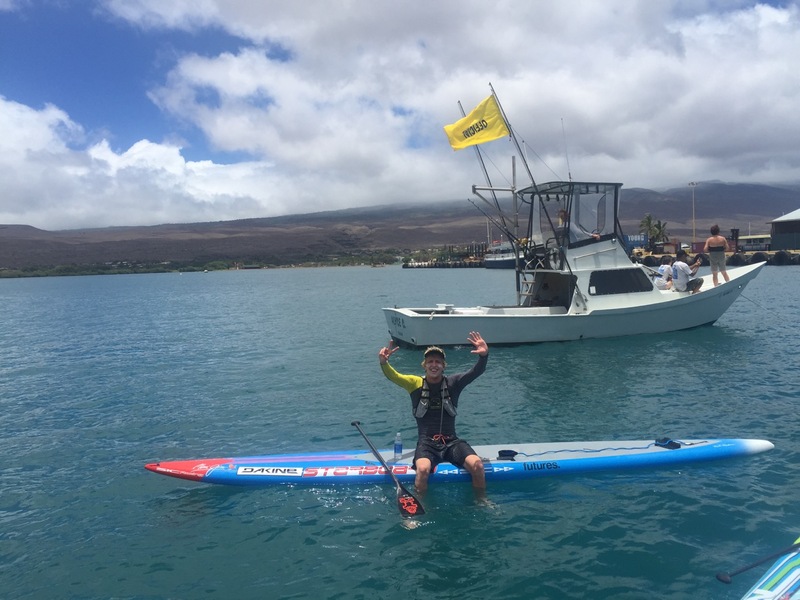 I want to thank my sponsors for all their support – Starboard, Dakine, Maui Jim Sunglasses, Futures Fins, Hammer Nutrition, GoPro, Garmin, UB Super, Waterman’s Sunscreen, OnIt Pro and Hi-Tech Sports. 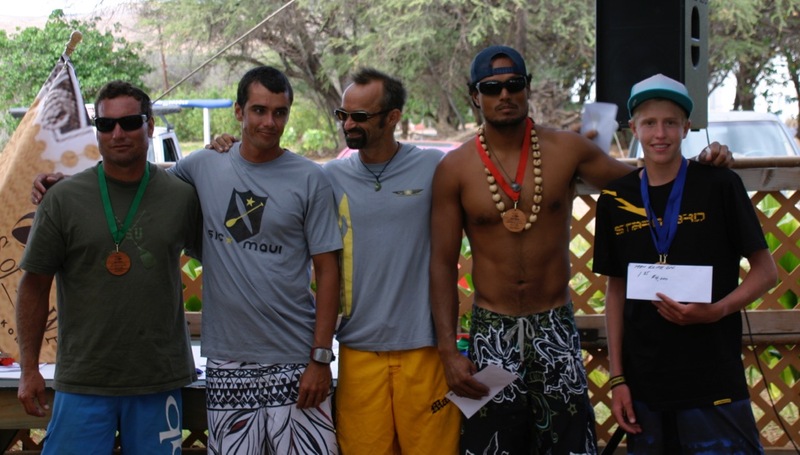 Also a big Mahalo to all the event organizers and all the volunteers. You know I’ll be back next year to defend my title!